Happy Monday, Friends! I'm leaving for HAWAII in two days (eek, so ready for sunshine), so my days until then are going to be filled with lots of errand running and trying to catch up on work before I leave. 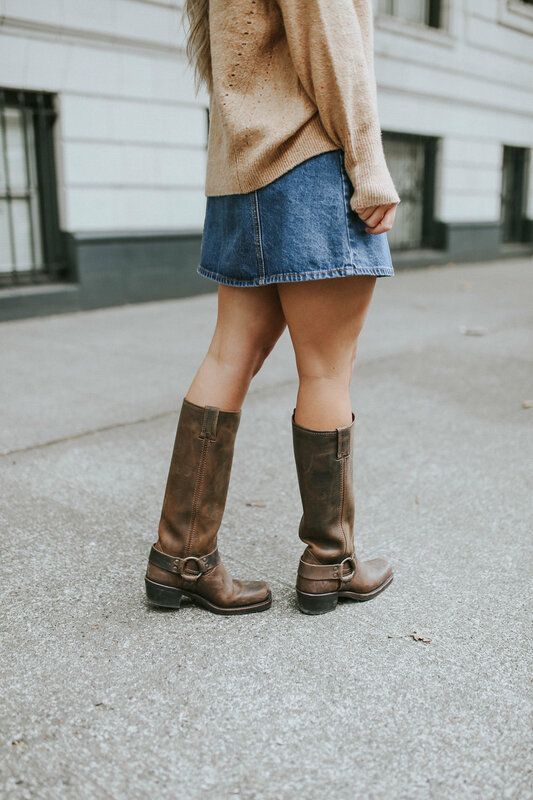 Every girl deserves a great pair of boots in her closet for Fall, and these boots from Frye are amazing. They are the perfect everyday boot, and I especially love the knee-high style. I often find that knee-high boots are the most versatile, most flattering and the most comfortable for daily wear. These particular boots have a low heel and a great harness detail that makes them unique. I am especially fond of the gorgeous color and exquisite leather that they are constructed from. You simply cannot go wrong with a classic pair of Frye boots (they are worth every penny).